Since its launch in 2010, Instagram has become the most sought after mobile app, reaching 500 million daily users. It’s known as one of the best platforms for celebrities and social influencers to engage with their fans and for ordinary people to share their favourite pics. We’ve all become too familiar with the insta-food pics, the “OOTD” (outfit of the day) pics and the dog pics which seem to flood our Instagram feeds, or maybe just mine. 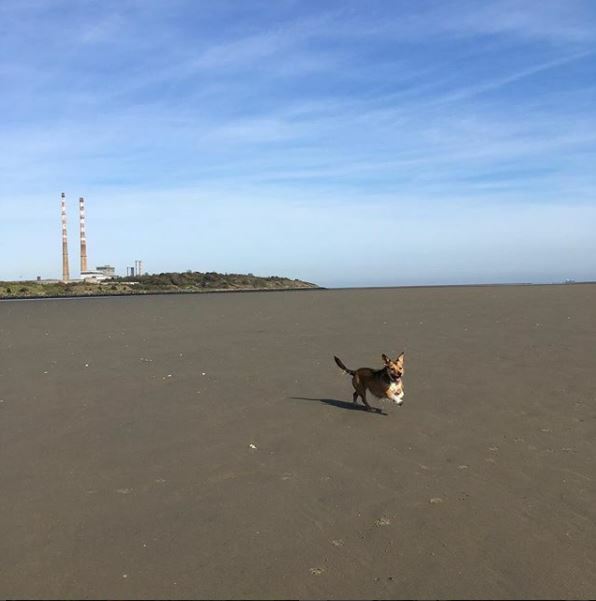 But given the sheer number of accounts, it’s hard to get away from the tedious posts, which is why I’ve done my research to find some of the best Irish Instagram accounts to follow. 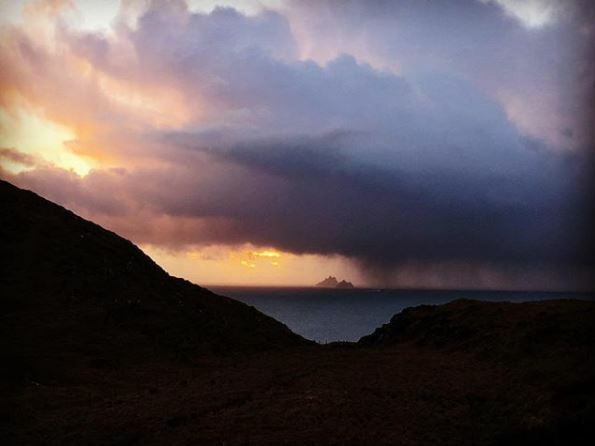 From beauty to food, and photography of the best scenery Ireland has to offer, there’s something to enjoy for all Instagram lovers. Carly Colgan Bates is a travel enthusiast who enjoys posting about all things travel, beauty and lifestyle on both her Instagram and blog (www.live-lavishly.com). Milan, Brussels, Berlin, Venice and even China, Carly posts some of the most amazing pictures of each place she’s been which is sure to inspire anyone to travel more often. Live Lavishly takes us on all her amazing adventures and gives us the most insightful tips and tricks when travelling abroad such as places to visit, where to eat, prices and much more! 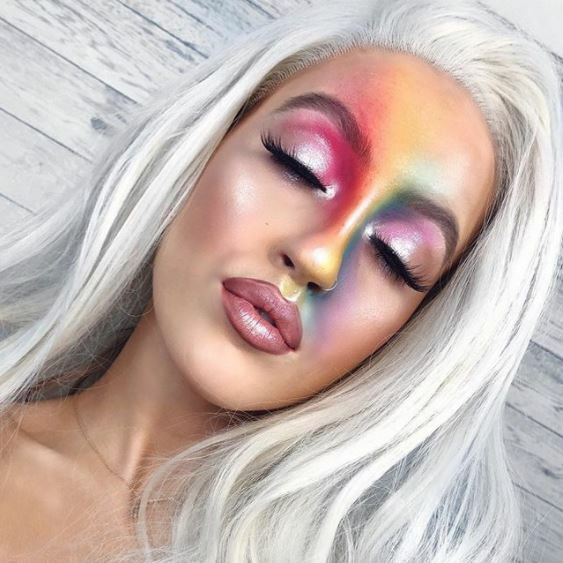 Keilidh Cashell is one of the best Irish makeup artists, and at just 21 years of age, she’s the ability to create some of the most inventive makeup looks you’re likely to see. She continuously inspires people who enjoy the makeup industry and offers easy to follow tutorials on both her Instagram and YouTube account. One of my favourite posts of hers is inspired by the quote “love is what makes you full and keeps you young”. This has to be one of favourite Instagram account that I’ve recently started following. 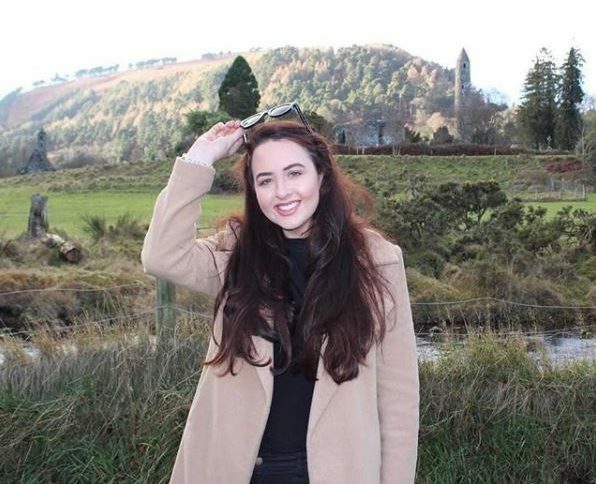 Eleanor, the owner of @thedoorsofdublin is an Irish girl currently studying in Cambridge. 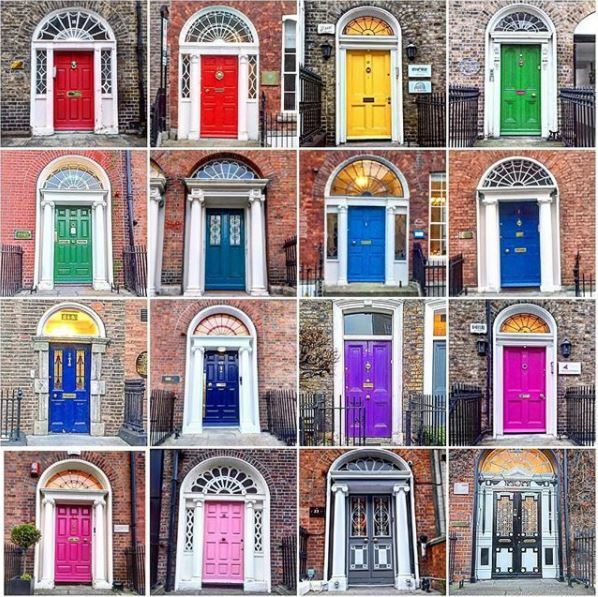 Doors of Dublin is an account dedicated to the most unique and beautiful doors you’re likely to see, from all over Irelad. Ireland is known for having the most beautiful, intricately designed buildings, along with spectacular doors which would stop any tourist in their tracks ad compel them to take a picture. Scrolling on this account for even a couple of minutes you’ll be transported to the most beautiful sights from all around Ireland. The contrast in colours and the beautifully edited, bright pictures create a perfect feed for easy and enjoyable viewing. Aoife is a woman of many talents. She’s an author, an event planner, food writer, and she also maintains an Instagram feed full of amazing photos. We get to experience the journeys she goes on when she interviews people and get a taste for her favourite cuisine. We also get to see her cute dog Daffo which is always a plus in my books. 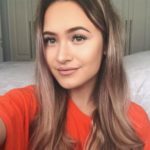 I’ve been following Diana ever since she visited my school whilst I was in transition year, about 4 years ago, and I’ve been a fan of her posts ever since. Being the author of her book ‘The Pursuit of Awesome’ and working for RTÉ & BBC, not to mention being a fellow Moldovan, we get to see her favourite books, foods, quotes and ordinary family life. 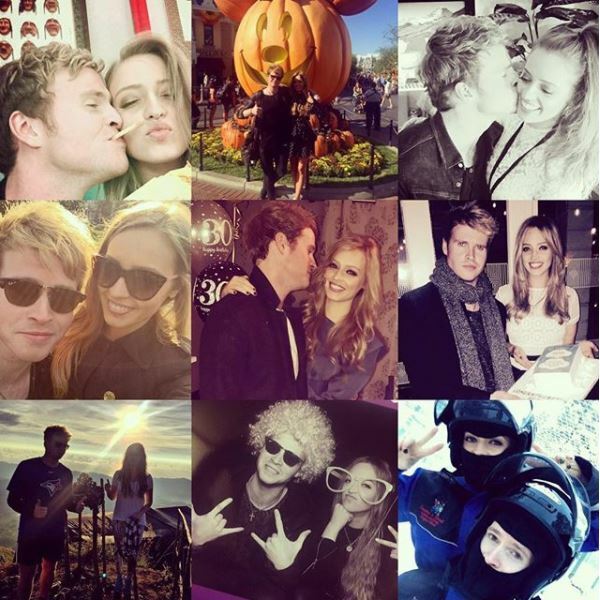 She also goes out with Steve, the lead singer of Kodaline. The most beautiful thing about her Instagram is that we quickly notice how family oriented she is and how much time she spends with her family, as well as how much time she devotes to charity. Seán Mac an tSíthigh is a video journalist on RTÉ and TG4 who without a doubt has an eye for photography and beautiful Irish scenery. 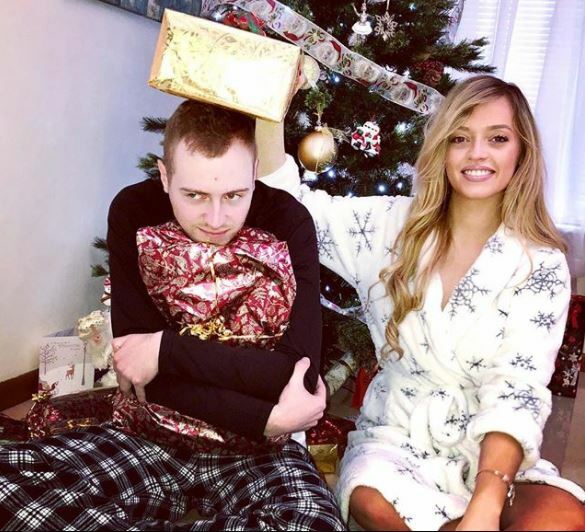 He incorporates Irish captions under his pictures too, which is something rare and nice to see. His Instagram is beautifully made up of a collage of sunsets, the Irish countryside and his family. Not to mentioned it is all photographed on his iPhone 6! Allie Sherlock first stole the hearts of many Irish people whilst busking on the streets of Dublin. Allie began her singing career busking on Grafton street and has recently rose to fame after appearing on The Ellen Show over in The States. Her Instagram is full of her 30 second covers which are a mixture of her singing and playing the guitar. Her dad, who accompanies her while she performs on the streets, films these graceful, amazing videos which are a hit with her 185k + followers. 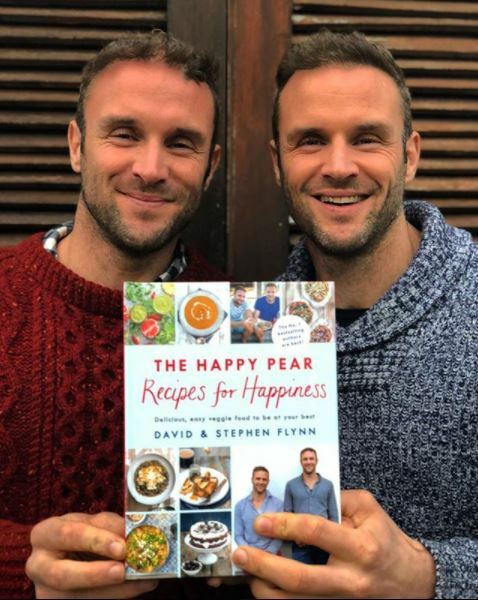 The Happy Pear is a company which started out in 2004 as a small veg shop in Greystones by twin bothers, Dave & Steve. Now, they have built an empire with their new book, product ranges, happy heart courses, their cafes in Greystones and Clondalkin, and of course, their very successful Instagram. Here they show case all their work, while also showing off their great photography skills and humour. So, there you have it. Some of the best Irish Instagram accounts; we hope you find something you like above. Do you follow any other Irish Instagram accounts that aren’t on this list that you;d care to share? Let us know on Facebook, or in the comments section below.